In 2016, there were approximately 560,000 homes sold in the United States. But that same year, there were 956,964 foreclosure filings and 203,108 home repossessions. Clearly, foreclosure is a chief concern for too many American families. 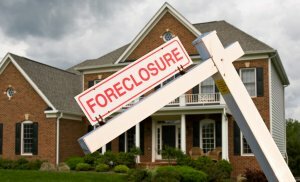 For those who have significant debts or who cannot make their mortgage payments, foreclosure can be an unfortunate reality that results in financial devastation. Therefore, you’ll want to do everything you can to avoid it. Whether you want to find out about talking to your lender about ways to modify your mortgage or learn how to sell a home to avoid foreclosure, we suggest taking a look at some of the following methods that could allow you to get some financial relief. Although we buy houses for people who need to get out from under their debt and start fresh, selling your home to pay off these bills can be a drastic step. If you want to keep your house, your first step should be to talk to your lender about whether there are ways to make that happen. With short-term medical emergencies and other financial setbacks, your lender might be willing to implement a repayment plan. This plan could allow you a bit of relief by letting you pay off a missed payment in two separate installments over a two-month period, for example. If your financial situation is more dire or long-term, you may be able to adjust your loan terms (typically by lowering the interest rate or lengthening the timeframe of the mortgage) to make payments more feasible for you. If you are unable to negotiate your loan terms (or you find that doing so wouldn’t provide the financial relief you need), you may come to the conclusion that selling your home is the best course of action. A short sale is one possible option, but if you need help selling a home, it’s not always the best one. Your lender will have to agree to a short sale, which allows you to sell a home for an amount that’s less than the outstanding mortgage payments you owe. However, if you have a second or third mortgage on your house, you may not be permitted to pursue a short sale. Those who realize they need to sell property fast but are overwhelmed with how to do it may want to consider selling their home to a real estate investor. We buy houses from people who need debt relief, of course, but we also buy houses from those going through divorces, who have inherited property, or who are looking to get out of the landlord game. Those who have equity in their home and want a quick, easy way to get financial relief and start fresh may want to consider working with an investor, who will pay cash for a house with no commission fees. If you’re struggling to make mortgage payments and have decided selling your house is the best course of action, we’re here to help. 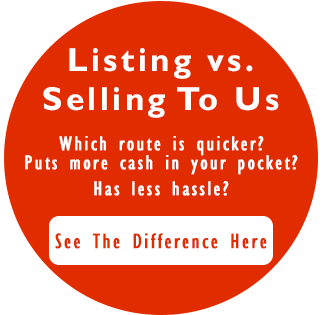 We buy houses in as-is condition, meaning you won’t have to do a thing to get your home sold. For more info, get in touch with Ittenbach Capital today.